2005 Fleetwood Pace Arrow 37C-Workhorse Chassis & 8.1L Vortec V8 Motor w/340HP, 41,000 Miles, 5-Sp. Allison 1000 Series Trans. 5.5 Onan gen. w/854 Hrs. 3-Slides, 2-Year-Old Batteries, 5K Tow w/Brake Controller, Newer Tires, Full Body Paint, Upgraded Living Room & Outside Samsung TV’s! Plus Excellent Upgraded Living Room Stereo System (Costs $9,000) & Kingdom In-Motion Satellite System, Driver’s Side Door, GPS, Elec. Patio Awning w/Wind Sensor, Atwood Auto Level System, W/D Combo, Sleeper Sofa w/Mattress, Driver/Passenger Shades w/Electric Sun Visor & Power Driver’s Seat & Dual Ducted A/C Units, New 10 Gal. Water Heater, 50 AMP Service, 75 Gal. Fuel Tank. We’ve enjoyed this RV for the past 6 years and have had many adventures around the western part of the U.S. She’s been very reliable and a pleasure to travel in. However, our kids are now grown, and we simply do not use the RV as much as we use too. We are the 2nd owners and purchased the RV from the local Camping World because of its Spaciousness (3-Slides), Private Bathroom and ample Storage through out the coach. If these are the features you’re looking for in an RV than you will not be disappointed when you come to buy this one! Location of Coach is: Denver, CO VIN: 5B4MP67G243395733 Looking for Financing-Contact Dana Zimmerman at Credit Union of Denver 303-239-118four. Please No Trade Offers, No Broker or Marketing Calls! SMS Text Messages will not be answered-too many scammers! Showings are by Appointment ONLY for Qualified Buyers! 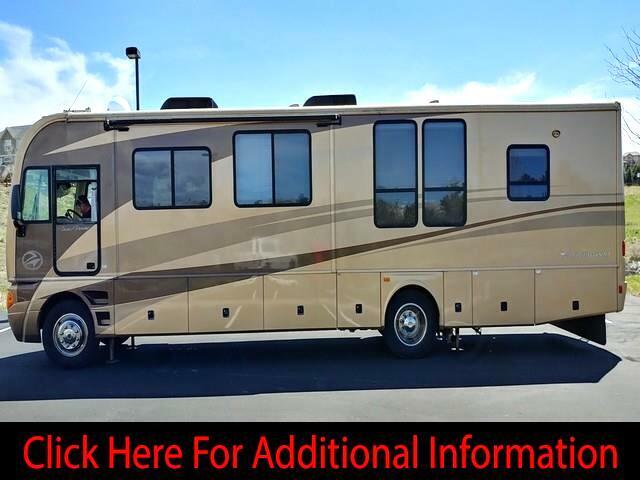 If you are Financing, PLEASE have your financing in Place BEFORE you ask to see the RV. Please Call 72066030sixtwo. Additional info at nextstepprosales(dot)com (Marketing Company for Private Sellers-This is a Private Sale-No Sales Taxes Collected). Visit Next Step Pro Sales online at www.nextstepprosales.com to see more pictures of this vehicle or call us at 720-660-3062 today to schedule your test drive. Message: Thought you might be interested in this 2005 Fleetwood Pace Arrow.